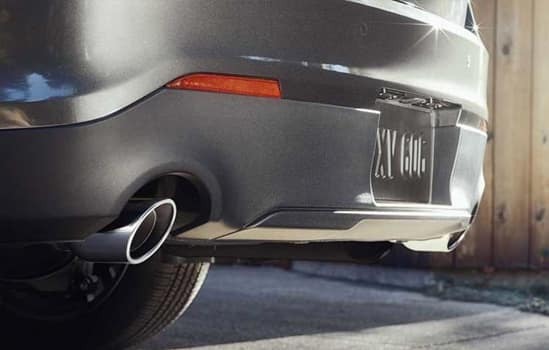 Standard on Limited and SHO, ambient lighting features light-emitting diodes (LEDs) that illuminate the front and rear footwells, door handles and two front cupholders. Scroll through and select the color you want – Ice Blue,® orange, soft blue, red, green, blue or purple. There are also five dimmer levels to adjust the intensity of the light. *Large contrasts in lighting can limit sensor performance. 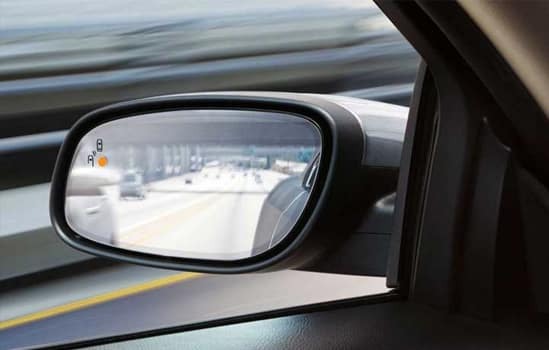 The available BLIS (Blind Spot Information System) with Cross-Traffic Alert uses radar in the rear quarter panels to detect a vehicle entering your blind spot and alerts you with an indicator light in the sideview mirror. Cross-Traffic Alert also uses radar to watch for traffic behind you when you’re slowly backing out of a parking spot or your driveway. If it detects a vehicle approaching from up to 15 yards away, it provides an audible warning, a visual display in either sideview mirror and a signal in the message center. BLIS technology is standard on Taurus Limited and SHO models. 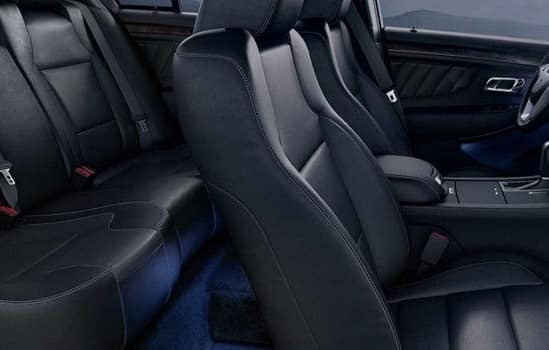 Starting Taurus is a breeze, thanks to available Intelligent Access with Push-Button Start. With the key fob in your pocket or handbag, simply open the driver’s door — no key is needed. 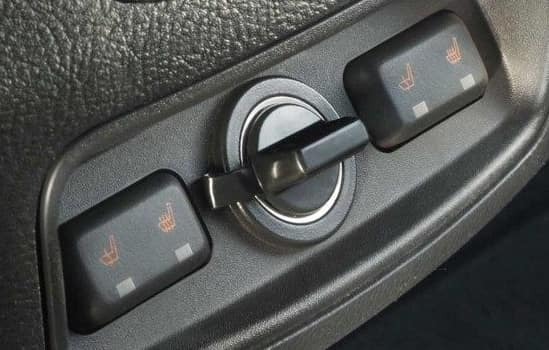 Once inside, press the brake pedal and then the start button, shift into gear and go. 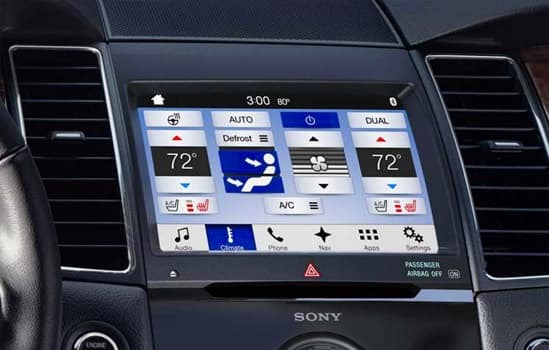 Intelligent Access with Push-Button Start is standard on Taurus Limited and SHO and available on Taurus SEL. SYNC 3 is our easy-to-use, responsive voice-activated technology. Experience the capacitive touchscreen with impressive responsiveness. Locate your favorite restaurants with simple destination entry via the available navigation. 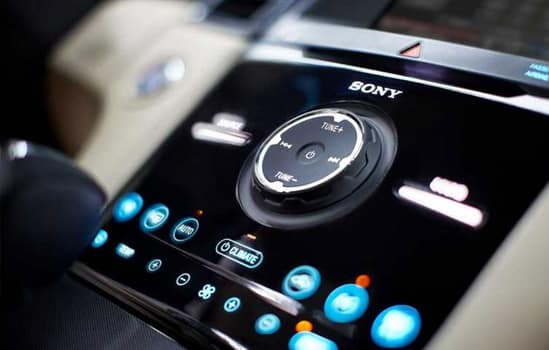 You’ll also find a sleek user-friendly interface to help you connect to and control your smartphone. 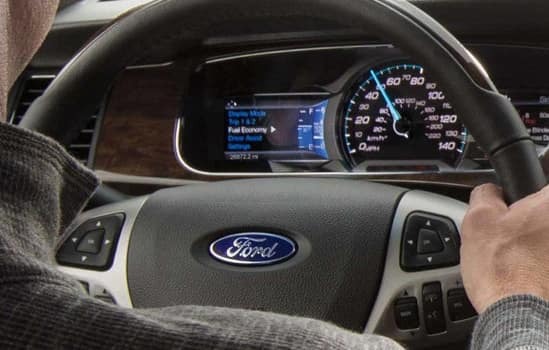 SYNC 3 also brings you the power of Apple CarPlay™ and Android Auto™ compatibility to your Ford. The MyKey feature promotes good driving habits. MyKey allows you to place limits on maximum speed and audio volume. With available navigation with SiriusXM Traffic and Travel Link, SYNC® 3 features easy destination entry. It’s easy to locate that hard-to-find restaurant, the nearest ATM or a highly rated coffee shop. Plus, responsive, adaptive search results are based upon your preferences. With SYNC 3, you can easily get to your destination with audible turn-by-turn navigation, along with continuously updated directions, weather information, traffic delays, alternate route suggestions and more. 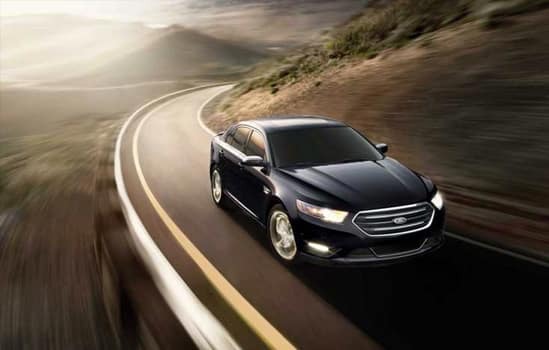 Taurus brings an engine lineup designed for the driving enthusiast. The standard 3.5L Ti-VCT engine delivers an impressive 288 horsepower. 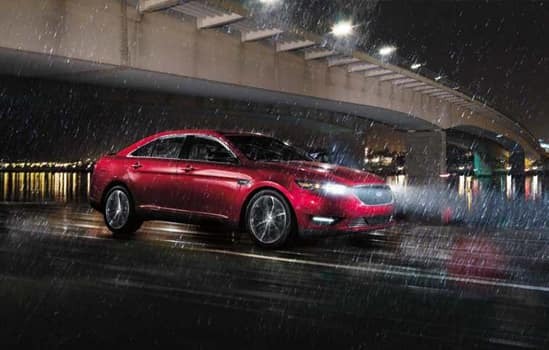 A six-speed SelectShift® automatic transmission is standard on all Taurus models and lets you override automatic operation and enjoy the energetic feel of a manual with control over gear selection. 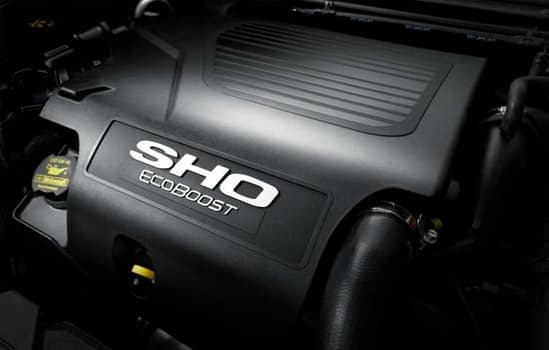 For an extra dose of power, opt for the 365-horsepower 3.5L EcoBoost® engine, standard on SHO. 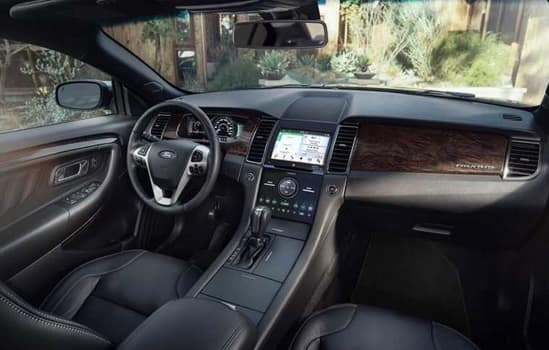 Taurus SE, SEL and Limited models feature the 6-speed SelectShift Automatic Transmission with Shifter Button Activation. This feature lets you override automatic operation and enjoy the performance feel of a manual with control over gear selection. 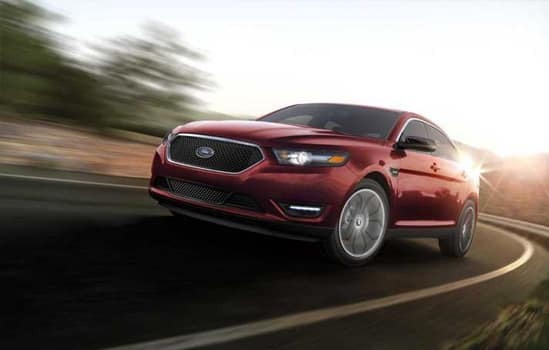 Taurus SHO has race-inspired, steering wheel-mounted paddle shifters for changing gears easily and quickly.